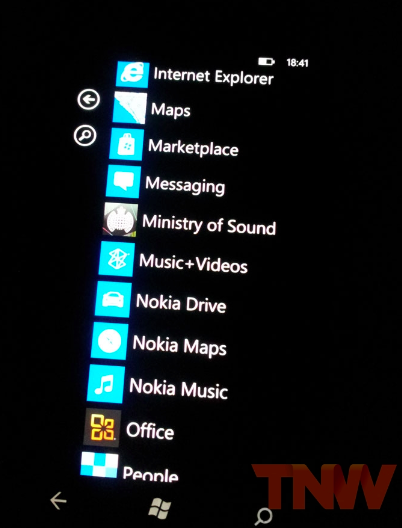 The cat is out of the bag that Nokia will be announcing its new Lumia 800 Windows Phone device tomorrow at Nokia World. We’ve seen pictures of the device formerly known as Sea Ray, but how will it perform against other new models like the HTC Titan and other high-end phones? 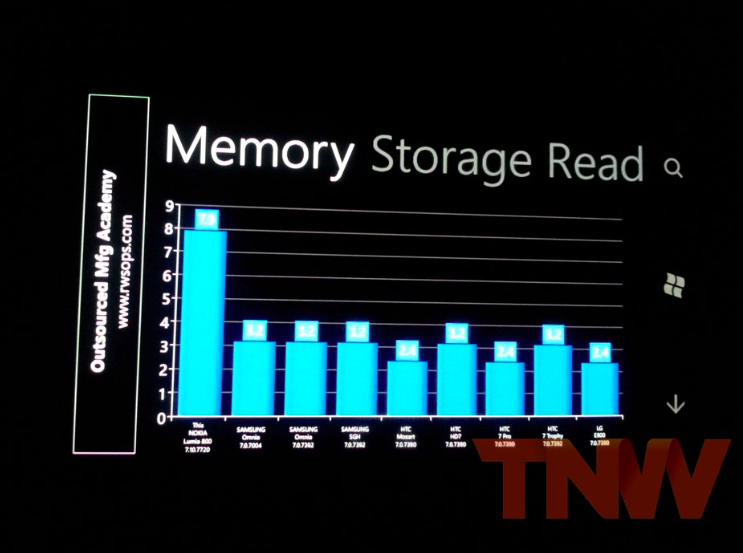 Well we have a source that has been kind enough to provide us with extensive benchmark results of the hotly anticipated new Lumia 800 and we’ve worked up some nice charts and graphs. After all, who doesn’t like graphs? 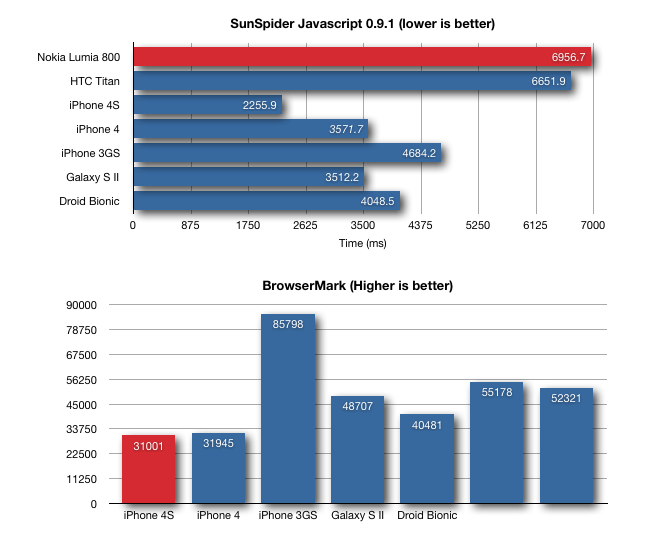 First we have the Sunspider 0.9.1 and BrowserMark results. These show browser performance as well as a basic idea of how the CPU performs against other models. You’ll notice that the marks honestly don’t look that impressive at first glance. 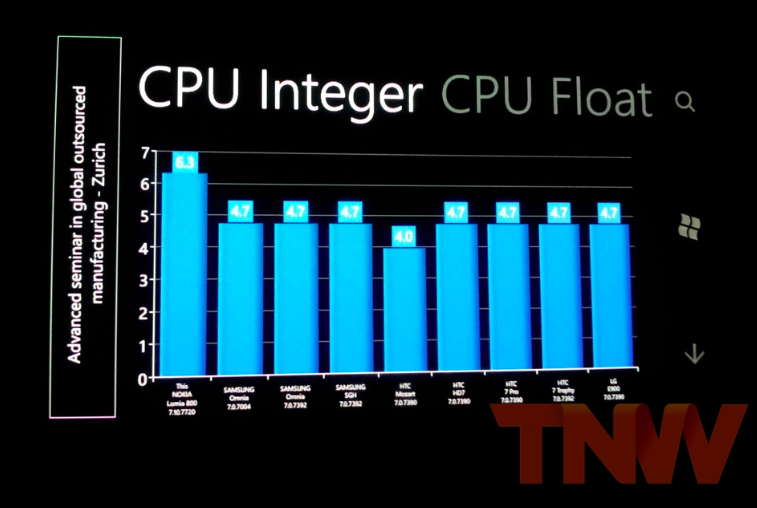 In addition to the browser-based benchmarks, we also have CPU Integer and CPU Floating point results, as well as an overall CPU score, against an HTC Titan. These tests are more directly aimed at the hardware and can give us a picture of how processor-intensive tasks like editing and rendering photos, performing calculations for video editing and pushing raw data around are handled on a device. 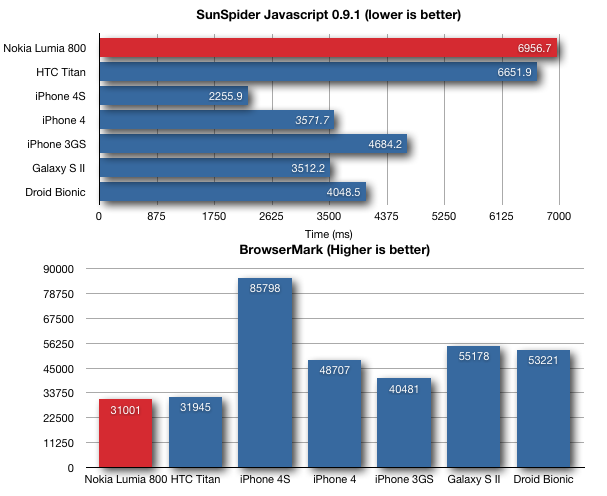 The results here indicate that the Lumia 800 compares well against the Titan. The results against the HTC Titan look incredibly well matched. 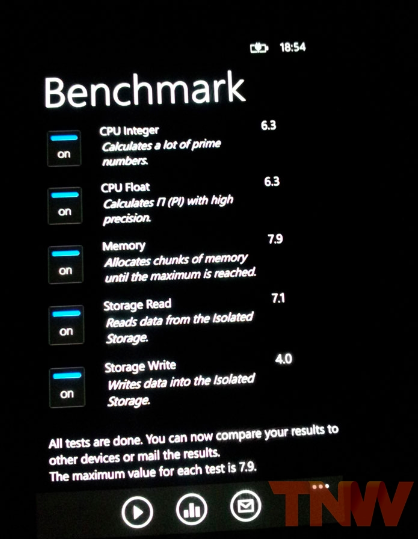 This isn’t all that surprising in the memory read departments but it does give us an idea that the Lumia 800 might have a processor that is very similar in speed to the single core 1500 MHz MSM8255 that the Titan is packing. It looks like the Lumia should perform as well as comparable Windows Phone devices like the Titan, but may fall behind when compared to dual-core Android and iOS devices. Of course, Windows Phone is another OS entirely, so we’ll have to get our hands on a production model and run extensive benchmarks and tests to tell exactly how these numbers translate to real-world performance. 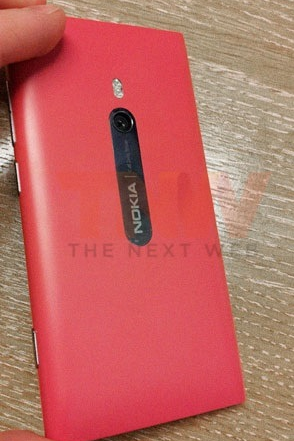 The Lumia 800 is expected to be announced tomorrow morning at Nokia World by CEO Stephen Elop. 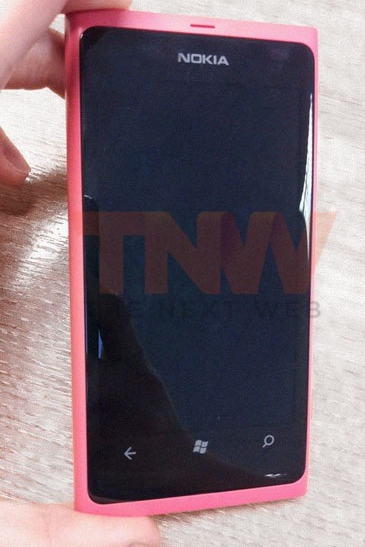 You can see our rundown of what else to expect at Nokia World here.